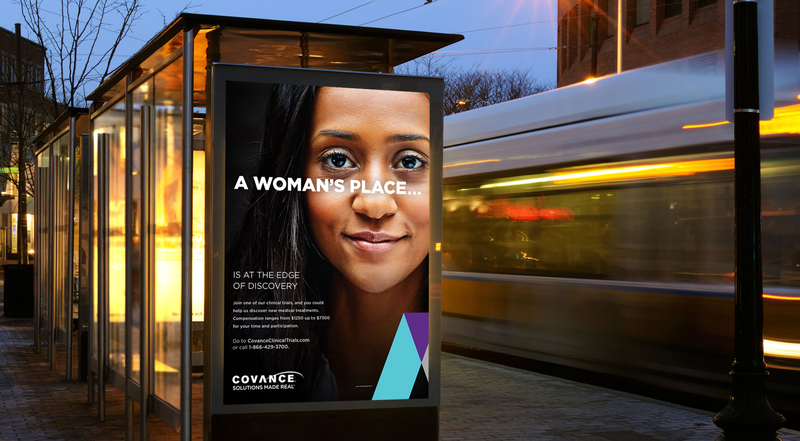 Covance needed women to participate in their clinical studies. But, more than that, they needed a message that would both resonate with their target audience and cut through the clutter of the ads women see every day. The solution? Messaging that challenged women by repurposing a derogatory phrase, "A woman's place is in the home," and turning it into words of empowerment. We blew that message out across transit and digital with engaging photography and a clean look.